Chobe Riverfront Accommodation - Stay right by the Chobe River, or on it! The Chobe Riverfront is the northern most part of the Chobe National Park running along the length of the Chobe River. This is where the four countries of Namibia, Zambia, Botswana and Zimbabwe meet and is also where the Zambezi and Chobe rivers converge. During high rainfall, the Zambezi River actually pushes the Chobe River back and as a result, this area has vast marshland which gives it a unique African ecosystem with immense biodiversity compared to anywhere else on the continent. 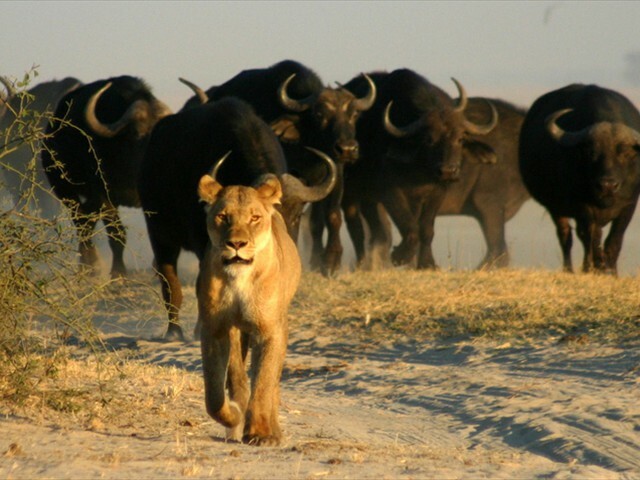 Vast concentrations of game make this their home and hence it has become an enormously popular safari destination. The town of Kasane which has a population of 9250 (2012) is central to this safari area, being positioned only 5kms from the Sidudu entrance gate to the National Park. The town has an international airport, shops and a variety of hotels, camps and lodges to cater for just about everyone's choice of comfort and budget. Getting your first choice of accommodation in the busy season is not always possible so I really advise you to try and book as far in advance as possible. Most of the Chobe Riverfront accommodation is located in Kasane itself. Many of them are situated very attractively on the rivers edge and guests then do daily game drives into the Park, returning in the evening to their accommodation outside the Park. Kasane is busy and game drives on this side of the Park can get very congested. 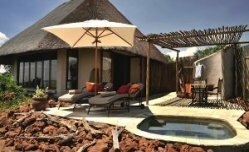 The luxurious Chobe Game Lodge is the only lodge actually situated inside the national park boundary. 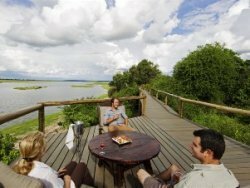 Then on the western boundary within the Chobe Forest Reserve sits Ngoma Safari Lodge and Muchenje Lodge. Being 55kms away from the maddening crowd of Kasane these two lodges offer a tranquil setting overlooking the Chobe flood plains, likewise game drives into the western end of the park have less tourists. 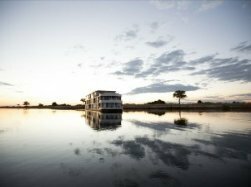 Houseboats on the Chobe River offer a unique and idyllic safari experience. Sumptuous luxury with great game and bird watching opportunities make these an extremely popular option. There are a few boats to choose from, catering for different levels of luxury but all of these houseboats operate out of Namibia. A couple of safari operators offer overnight camping safaris in private campsites inside the park. These are very popular trips as they allow guest to stay inside the park but not at the exorbitant prices of the luxury game lodges. Fairly simple and rustic but if its game viewing you are after and not luxury then I can highly recommend these 1, 2 or 3 night safaris. Several campsites are available in the town of Kasane as this is a popular destination for self drive tourists. Ihaha is the only public campsite inside the Park in the Chobe riverfront and booking in advance is recommended. The Chobe Riverfront being only 90kms from Victoria Falls makes an ideal holiday combination - it's a good idea to have a few days in each location if you can, to benefit from what each place has to offer. Please contact us so we can offer advice on the best places to stay, within your budget and assist with your bookings. Advantages: Well established lodge with a riverside location neighbouring Chobe National Park; Variety of accommodation options from luxury to camping; Affordably priced especially for families; Lodge operated game drive and river cruise options; ideal location to explore the Chobe area. Advantages: Only lodge inside the Chobe national park; land and water based game viewing activities; top end luxury lodge; Great additional facilities (salon, gym, library, billiard table); Lovely location with great views of the Chobe river and Caprivi floodplain; Large lodge which can accommodate large numbers of people for weddings, conferences etc. Approximate International Fully Inclusive Prices: Green Season $565, Mid Season $724, High Season $975 pppns. Size: 8 en-suite twin or king. 2 of the suites can sleep a third at per person sharing rate. 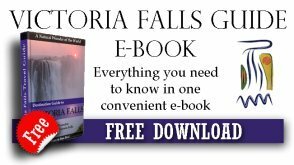 Advantages: Very private and away from the hustle and bustle; 5-star luxury; Transfers available from Victoria Falls Safari Lodge/Club and Livingstone Airport to Kazungula Border post. 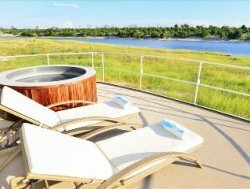 Advantages: Excellent location on the Chobe River, home to great game and birding; Luxury facilities; Great rates that are fully inclusive; Small, intimate houseboats provide privacy. 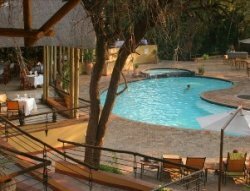 Advantages: Excellent location on the Chobe River, home to great game and birding; Luxury accommodation and facilities; Great rates that are fully inclusive; Right on the Chobe River. Day trips and overnight trips are possible into this fantastic wildlife park. 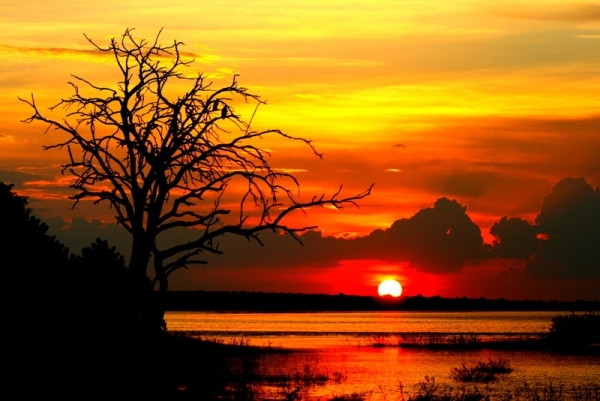 Chobe Day trips take you onto the Chobe River and a drive into the National Park. Overnight camping safaris also allow you to spend at least a night inside the park, camping with experienced guides.